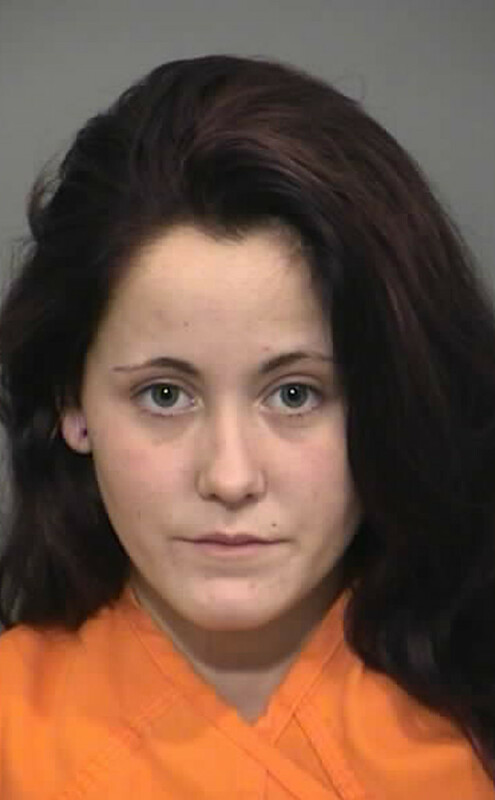 Jenelle Evans has landed back in jail…again. Days after we confirmed the Teen Mom star is pregnant with baby no. 2, Evans was busted for “breach of peace” Saturday. So, what went down to land the pregnant reality star in jail this time? It appears she landed in lockdown after getting into a dispute with her boyfriend Nathan Griffith, who were reportedly arguing when cops were called, according to Us Weekly. Evans was then brought out of her home in handcuffs and taken into custody in North Myrtle Beach, S.C.
She was booked at around 5 p.m. and released on bail about an hour later. It’s safe to say this was not the early birthday present Evans was looking for, considering she turns 22 Thursday. This is the tenth time in the past three years Evans has been arrested.